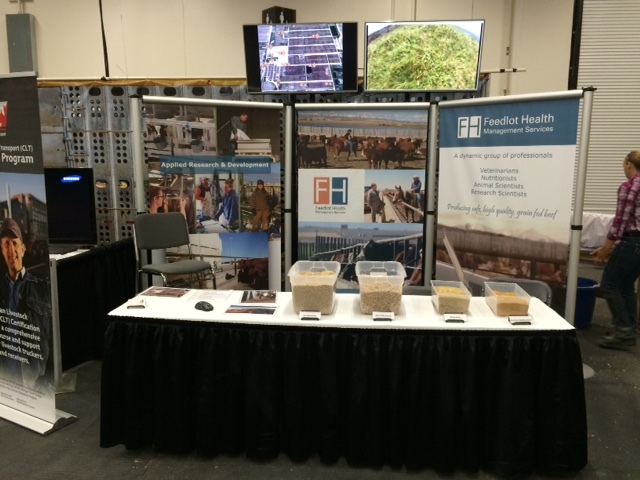 For the fourth year in a row, Feedlot Health participated in the “Cattle Trail” display at the Calgary Stampede. This display follows the life cycle of a beef animal from pasture to plate and highlights 7 major areas of beef production. Our contribution to the display was found in the finishing section of the display and Stampede Park visitors had the chance to meet with Feedlot Health employees, including consultants, to learn more about the progression of a feedlot animal through a feedlot. A series of short video clips were available that showed such things as processing, feeding, pen checking and loadout.